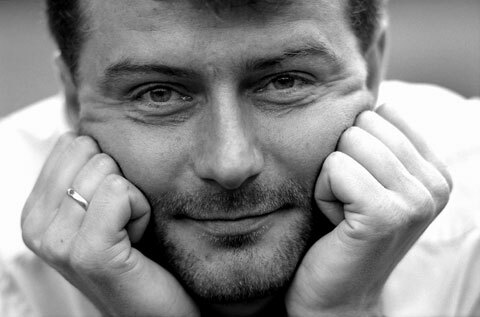 Marek Rzepka was born in Mikołów (Poland). Trained as a miner, he won first prize at the Kolobrzeg Festival in 1989 and thereupon began his vocal training in Cracow with Prof. Adam Szybowski. He continued his studies with Prof. Christian Elßner at the "Carl Maria von Weber" University of Music in Dresden where he graduated with distinction and completed a postgraduate course. Continued by studies with Prof. Hans- Joachim Beyer in Leipzig and Prof. Rudolf Piernay in Mannheim. Marek Rzepka has attended master classes with Brigitte Fassbaender, Teresa Zylis-Gara, Peter Schreier, Thomas Quasthoff and Charles Spencer. Marek Rzepka's wide repertoire includes for example Haydn’s The Creation, Handel’s Messiah and Bach’s B-Minor Mass. He has sung Mozart’s Requiem in the Cracow Philharmonie, J. S. Bach's St. Matthew Passion with the Dresden Kreuzchor and the Philharmonie Dresden, Mauricio Kagel's opera Aus Deutschland in Hamburg, J.S. Bach’s “Kaffeekantate” with the Akademie für Alte Musik, cantatas of J.S. Bach under the baton of Helmuth Rilling, works by A. Lotti and Zelenka conducted by Andrew Parrott, and has appeared in concerts with Steven Stubbs and Eduardo López Banzo. Dresden, Cracow and Freiburg and has participated in CD productions and broadcast recordings. In October 2001 he received a teaching appointment for voice in the early music department at the "Felix Mendelssohn-Bartholdy" University of Music in Leipzig. In 2004 he made his debut at the Théâtre Royal de la Monnaie in Brussels in Monteverdi's opera Il ritorno d’Ulisse in patria with a subsequent tour to France, Luxembourg, and New York. This production was also presented at the 2004 Melbourne International Arts Festival. In September 2006 he recorded Lully’s opera Thésée under the baton of Steven Stubbs. A recording of Conradi’s Ariadne, presented at the Boston Early Music Festival and Tanglewood Festival (direction: Paul O’Dette and Steven Stubbs) was nominated for the Grammy Award. Important engagements in 2006/07 included concerts with Thomas Hengelbrock at the festivals in Athens and Wroclaw, a revival of Il ritorno d’Ulisse in patria at the Théâtre Royal de la Monnaie in Brussels and his debut as Masetto in concert performances of Mozart’s Don Giovanni at the Herrenchiemsee Festival 2007. Besides concerts with the RIAS Kammerchor in the season 2007/08 Marek Rzepka performs Uberto in Pergolesi's La serva padrona with the ensemble Barrocade in Israel and gives a recital at the Jerusalem Academy of Music (March 2008). He sings the basse arias in Bach's St. Matthew Passion with the Detroit Symphony Orchestra in March 2008. In Summer 2009 he made his debut in "Walpurgisnacht" by F. Mendelssohn Bartholdy with the "Tonhalle Orchester" in Zurich and in F.Liszt´s "Via Crucis" at the "Salzburger Festspiele". Since October 2009 he received a teaching appointment for voice at the University of Music in Cracow/Poland.